The nine patch block is simple enough to make, using squares and half square triangles, but then you get the added interest in the centre with a square in the square patch. 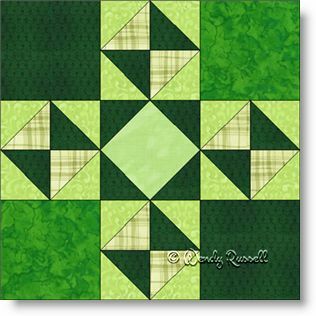 I played around quite a bit with quilt settings for this block and found that I liked an on point layout best. The two sample quilts illustrated using this type of setting look entirely different though. What can you come up with?